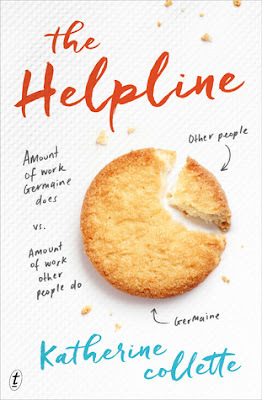 When mathematician, Germaine Johnson, gets a job at the Deepdene Council answering calls on the Senior Citizens Helpline, she has no idea what she's gotten herself in to. Right away, she finds herself in the middle of a clash between the local golf course and the Senior Citizens Centre, and when she's given a special project by the mayor herself, she throws herself into sorting out the Senior Citizens Committee, and their troublemaking President, Celia Brown. Germaine is more comfortable with numbers and spreadsheets than she is with people, but she soon finds herself having to navigate a number of new relationships in order to get along at her new job. Whether it's with Eva, the co worker who spends more time worrying about keeping up the supply of biscuits in the staff room than actually answering calls; with Jack, the IT consultant who wears shorts and keeps asking Germaine to have lunch; with Jin Jin, a Japanese student who lives in Germaine's building; or with Don, the owner of the Golf Course, who reminds Germaine of a certain disgraced Sudoku Champion; Germaine is out of her depth when it comes to friendships. And in any case, she's much happier on her own, isn't she? This sweet, funny, feel-good book will have you staying up way past your bedtime to get it read in a single sitting. With echoes of smash hits like The Rosie Project and Eleanor Oliphant is Completely Fine, The Helpline is sure to be a book club favourite in no time. Collette's skill in writing her cast of characters means that this story hits you right in the feels. It's a classic story of the underdog, with a twist in that its protagonist is quirky, a little dorky, and super smart. Her lack of self awareness makes for just the right amount of dramatic irony. This is, to date, the only book with mathematical charts in it that I have actually enjoyed, and I am going to be recommending it to all of my friends.